Ashley Juarez filed out of Park City High School and approached Dozier Field with almost 400 of her classmates. 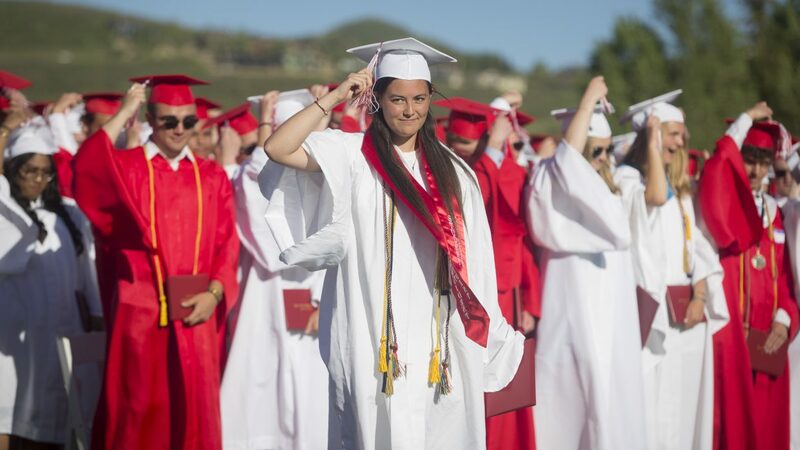 She was feeling nervous to graduate, but then she saw the packed stands and realized how many people had come to support not only her, but all of her peers who had pushed through classes, homework and tests to get to this point. At last, they were graduating. 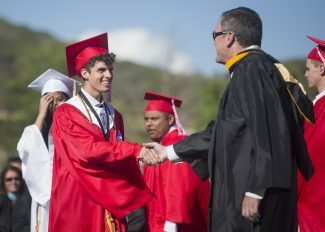 The graduation ceremony, which took place Friday, was filled with emotion for many students. Juarez was excited to be the first one in her family to graduate high school and attend college, which she doubted at one point that she could. Sierra Wells, who gave the salutatorian's address, said she felt proud looking at her classmates and thinking about all they had accomplished. 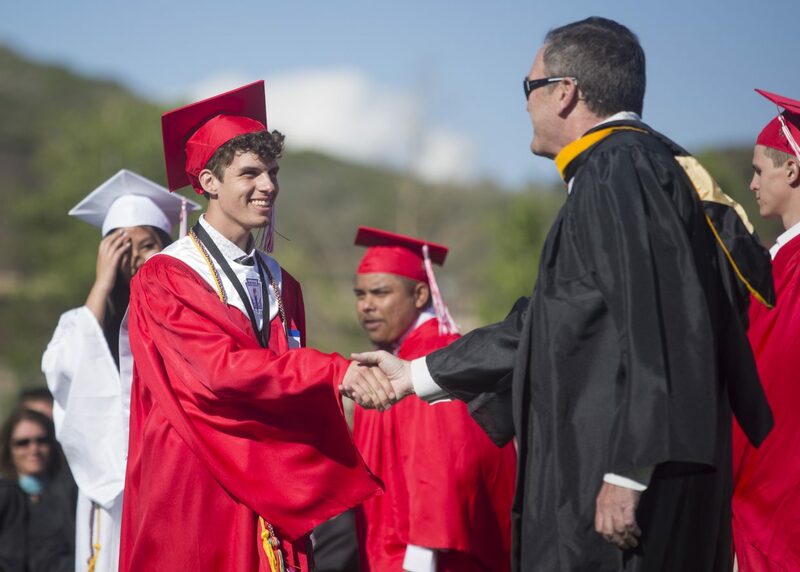 And several students were visibly moved to hug or shake hands with former principal Bob O'Connor before they received their diplomas. Bennett Barbosa, who graduated, said it was "spectacular" to see O'Connor and give him a standing ovation during the speech of the interim principal, Kathleen Einhorn. O'Connor left his position in November to address personal health concerns. Barbosa said that he will miss his classmates, who were diverse but remained unified throughout their high school years. He plans to attend a film school in Los Angeles in the fall. "What I love about our class is that when needed, we can come together," he said. "Everyone is very accepting." Jenna Jacobsen referenced the camaraderie of the senior class in her speech as student body president. During the students' sophomore year, the class started a tradition of having a barbecue at City Park for the entire grade and continued to do it through senior year. She, like many other speakers, also mentioned how instrumental her teachers were in creating an accepting and positive environment at school. "High school truly amazed me," she said. "I never expected the relationships I'd make with people I never expected to have a relationship with. If someone would have told 5-year-old me that my best friends would be my photography, chemistry and history teachers, I would have laughed in their faces." She and Max Strong, senior class president, talked about how curious they are to see where their classmates go because so many have unique talents. Strong said in his speech that he hopes his classmates do not only learn, but turn around and teach others as well. "I'm so excited for the 20-year reunion to see what everyone has taught," he said. Caleb Fine, assistant principal, said that the class was special in many ways. 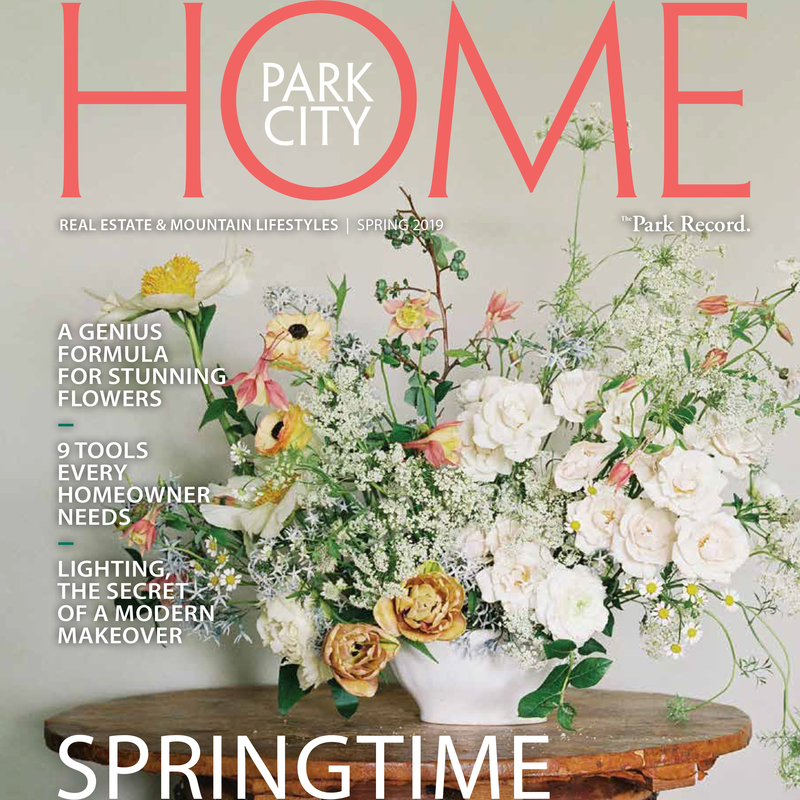 For one, it was the largest graduating class ever from Park City High School, with 392 graduates. Each of those students had different strengths that he saw them develop over time. "It was a well-diversified group," he said. "It was fun to see them display their excellence over the course of the last three years, from on the field to in the classroom." The class was also dedicated in its desire to stand up for what they felt was right. To continue a protest of gun violence, particularly in schools, 15 students wore the nametags of students who would have graduated this year but had died due to gun violence. Students Olivia Henry and Faith Staley found the names of students from across the country and wrote them on nametags that their classmates put on their gowns. "It was very powerful to not only graduate for myself and for all the work that I put into school, but also for someone who wasn't able to, who wasn't given that chance," Henry said. She said that graduation was bittersweet because of the nametag she wore, but it was also an amazing experience to be able to celebrate the hard work her classmates did to receive their diplomas and toss their caps into the sky. "It's crazy to close that chapter of our lives and know that we are in charge now of our future."